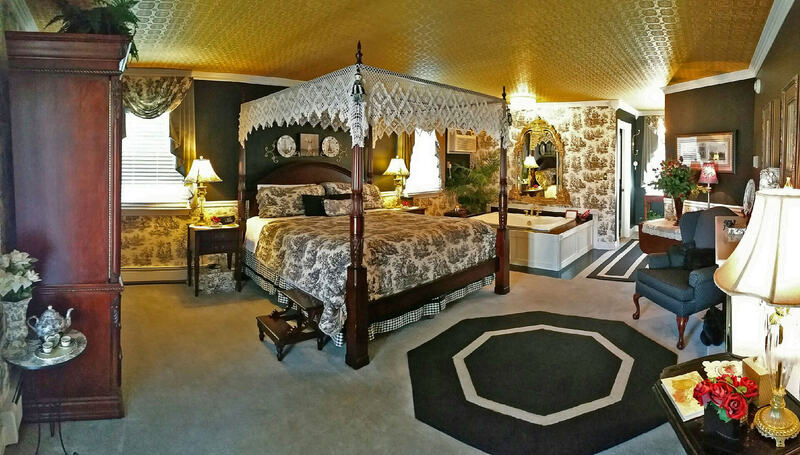 Our Honeymoon Suite is an unforgettable romantic suite with King canopy bed, and air jetted whirlpool for two! Private balcony. Flat screen TV with TiVo. In room refrigerator. Fantastic non-wood burning fireplace can be enjoyed year round. "In Season" is May through October. "Winter" is November through April.